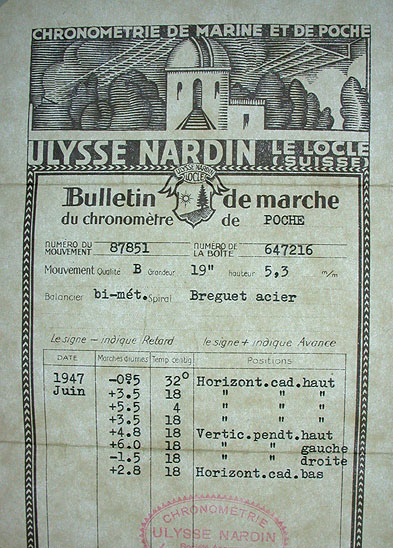 Fine Ulysse Nardin 18K gold pocket chronometer circa 1947 with original prize box and certificate. 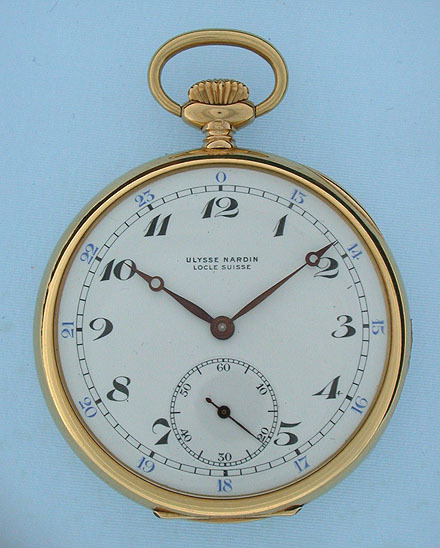 White enamel dial with blue and black numerals and blued steel Breguet hands. 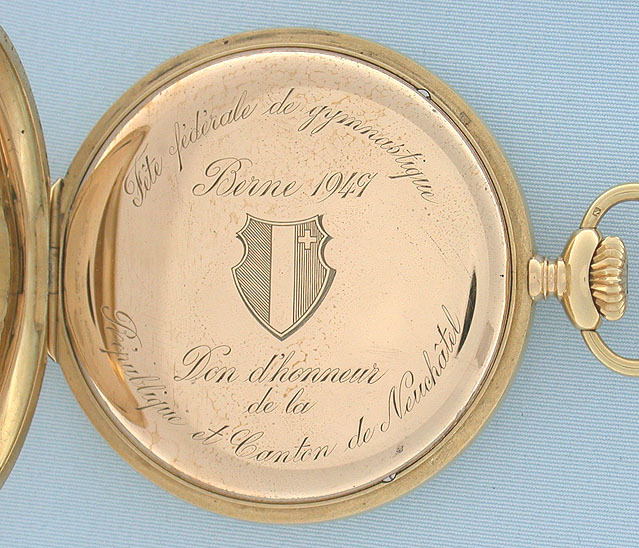 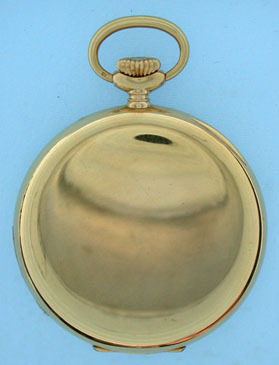 Plain polish case with gilt brass dust cover with details of the prize. 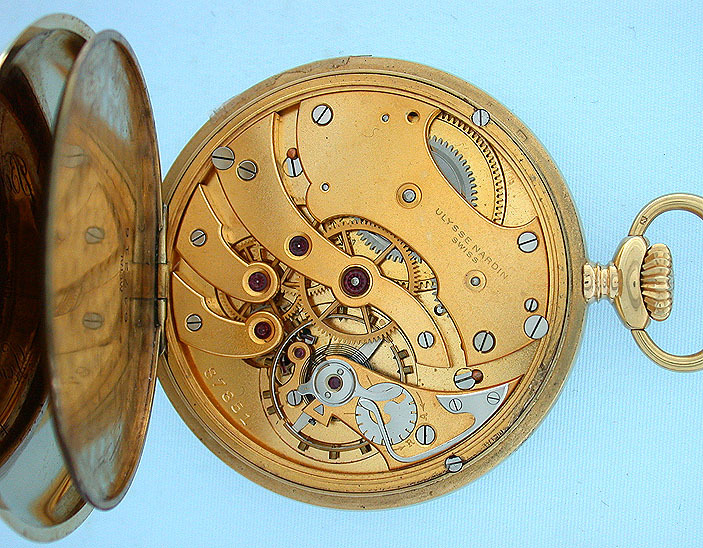 Fine gilt 16 jewel movement with precision regulator. 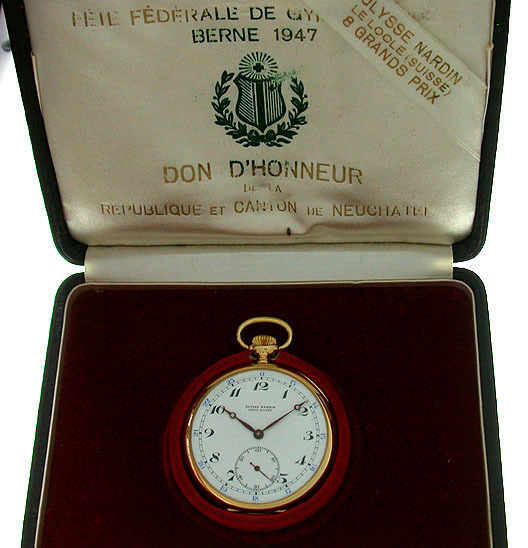 With original box with details of the gymnastics prize.